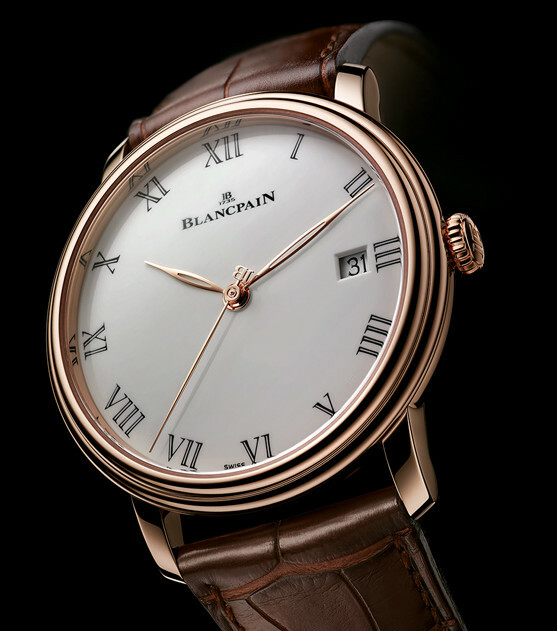 A classic watch Company I never get tired of is Blancpain and their models old or new always make me want to buy. It is a personal problem to which my Doctor is in full agreement and advised me that with JBs it’s probably incurable – and he should know as he owns 4 of them! This is the 2014 Villeret 8 Jours with it’s marvelous grand feu dial. For those not au fait with this term, it is a process involving successive layers of enamel, each fired at very high temperatures (over 1000°C). This process ensures the enamel doesn’t crack over time and Blancpain enamel exudes a wonderful milk whiteness and sheen that never seems to fade – at all. The figures on the slightly curved dial are also in enamel which is incredibly difficult to manage. Added to this is the fact in certain light conditions on the grand feu enamel dial you might just be able to see faintly the logo “JB” engraved between numbers 4 and 5, 7 and 8. The initials of the company’s founder, Jehan-Jacques Blancpain. Côtes de Genève on movement and Honeycomb finish. The in-house movement is the Cal.1335 which is self winding and has an amazing 8 day power reserve. To cap it all the movement and Côtes de Genève decoration and honeycomb rotor finish can be seen clearly via the back crystal window. It’s also a perfect size at 42mm diameter and it comes complete with a chocolate alligator strap and overall is the most elegant watch. I understand prices start around $29,000, so IF I want one – and I do – I’ll not only have to have consultation with my Doctor but also my Bank manager! 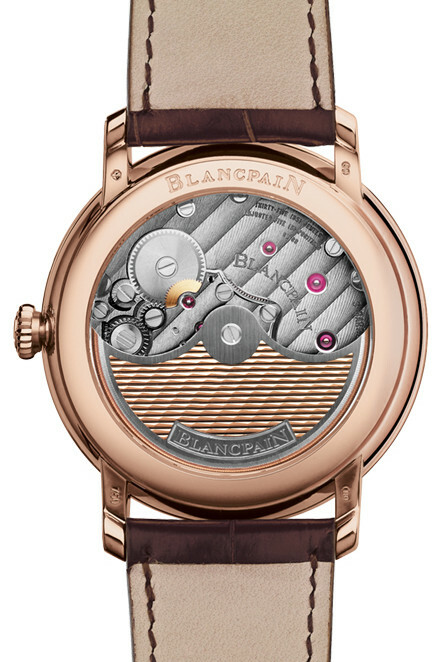 Note – Took a little longer this time to continue with “The elegant watch” theme and have no option but to restrict each Post to just one model, as frankly it’s becoming more difficult to find true elegance in many of the new offerings today. Perhaps Christmas may generate something special and I’m hopeful of 2015.